Our meticulous attention to detail results in a quality reproduction Stoner/Univendor 6 Selection Mirror with correct Change-Giver Decals. Approximately 10" wide by 14" tall. 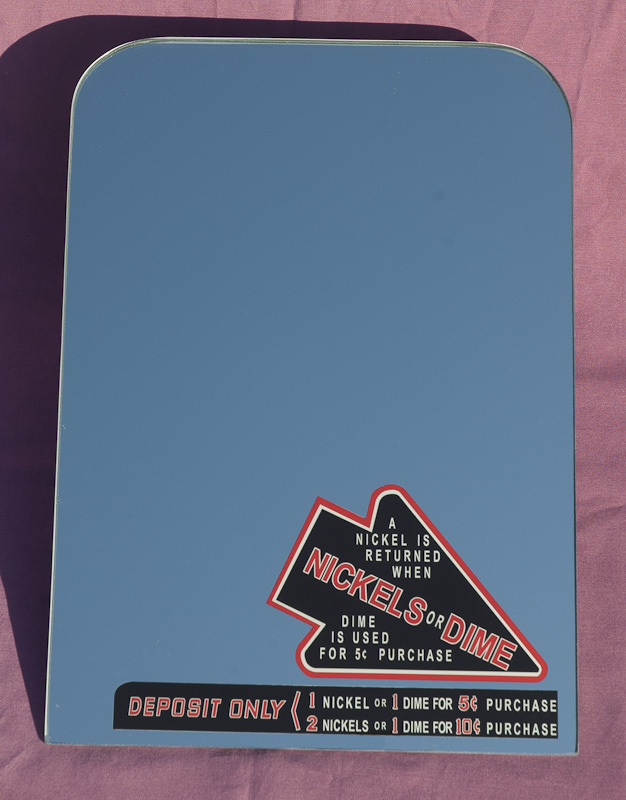 Our decal artwork is on the back of the mirror like the original! We will be creating the larger version of this mirror for the Stoner/Univendor 8 Selection Senior Model! Coming Soon! We can provide custom mirror designs should your restoration require a mirror currently unavailable or for that special look!